Mike grew up on his family’s farm and loves the beauty of nature. He developed an interest in horses, which led to one of his passions, training and racing horses. He also served in the military with the 19th Special Forces Group (Airborne) and trained with the 7th Special Forces Group (Airborne) in Fort Bragg, North Carolina. 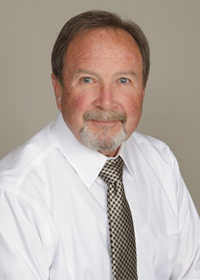 Mike spent 30 years with ATK Thiokol in their research and development division. While at Thiokol, Mike worked part-time as a Realtor and brings a broad experience base of 17 years of real estate knowledge to John W. Hansen & Associates. His favorite aspect of being a Realtor is meeting and helping people. His goal is to make each client’s experience as enjoyable as possible.